The “Laverne & Shirley” star went on to direct successful movies, “Big” and “A League of Their Own.” Carole “Penny” Marshall was 75. 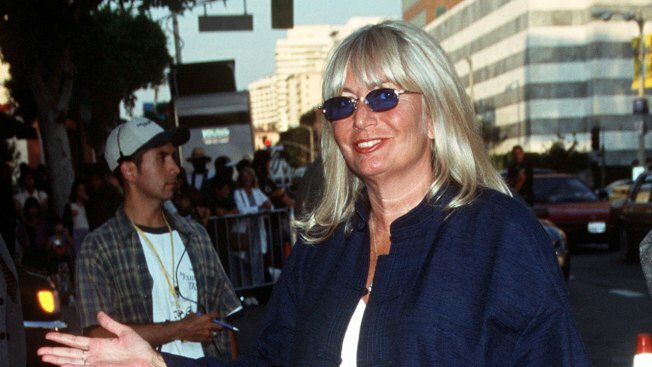 Penny Marshall, who starred in "Laverne & Shirley" before becoming one of the top-grossing female directors in Hollywood, has died. She was 75. Marshall's publicist, Michelle Bega, said Marshall died in her Los Angeles home on Monday due to complications from diabetes. "Our family is heartbroken," the Marshall family said in a statement. Marshall starred as Laverne DeFazio, the Milwaukee brewery worker, alongside Cindy Williams in the hit ABC comedy "Laverne & Shirley." The series, which aired from 1976 to 1983, was among the biggest hits of its era. It also gave Marshall her start as a filmmaker. She directed several episodes of "Laverne & Shirley" before making her feature film directorial debut in "Jumpin' Jack Flash," the 1986 comedy starring Whoopi Goldberg. Her next film made Marshall the first woman to direct a film that grossed more than $100 million. Her 1988 hit comedy "Big," starring Tom Hanks, was about a 12-year-old boy who wakes up in the body of a 30-year-old New York City man. The film earned Hanks an Oscar nomination. Marshall reteamed with Hanks for "A League of Their Own," the 1992 comedy about the women's professional baseball league begun during World War II. That, too, crossed $100 million, making $107.5 million domestically. Marshall's former husband Rob Reiner, also a film director and former star of 70's telelvision, expressed his condolences on Twitter Tuesday. "I loved Penny. I grew up with her. She was born with a great gift. She was born with a funnybone and the instinct of how to use it. I was very lucky to have lived with her and her funnybone. I will miss her." As news of her death spread other friends and fans expressed their condolences across social media. Sad to hear of Penny Marshall’s passing. a great comedienne a terrific director and a dear friend. Yesterday I held a Golden Gloves award from the 1930’s, given to me by Penny Marshall. Hadn’t seen it in years. A Bronx native, Marshall became a dedicated Los Angeles Lakers fan, and a courtside regular. Her brother Garry Marshall, who died in 2016, was also one of Hollywood's top comedy directors. Penny Marshall was married to Michael Henry for two years in the 1960s and to the director Rob Reiner from 1971-1981. Their daughter Tracy Reiner is an actress; one of her first roles was a brief appearance in her mother's "Jumpin' Jack Flash."